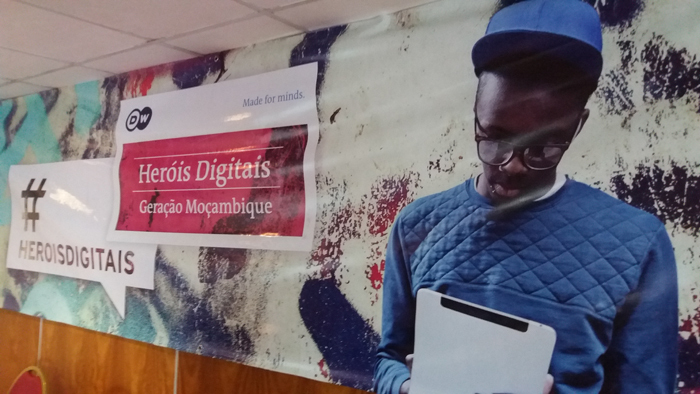 In December, DW organized a blogging event for “Digital Influencers” in Mozambique. The goal of the event in Maputo was to get to know the digital scene in Mozambique better, to form a network of likeminded thinkers and to meet new potential partners. The most important topics from the event were social networks, citizen journalism and the pros and cons of digital platforms. The event was broadcast on Facebook Live. In Congo, Afrika TV and Canal Numérique Télévision will be broadcasting DW radio programming in French and Kiswahili. The newly formed Community Radio Association in Cameroon, which was supported by DW, has also led to 10 new radio partners. The television channels First Digital, GHone, EBN (Eclipse Broadcasting Network) and NET2 TV are now broadcasting DW programs in Ghana. DW has five new partners in Pakistan for its English channel: Systak Cable Network and Shaheen Tel Cable Network in Islamabad, Sky Vision International Cable Network in Multan, Showtime CATV Network in Karachi und Rose Plus Communications in Hasanabdal. Topas TV is now broadcasting DW’s science program for the Indonesian-speaking market, Inovator. The Chilean broadcaster TVU has integrated several DW programs into its lineup, including Euromaxx, Todo gol, Global 3000, Visión futuro und Patrimonio mundial. TVU is a terrestrial broadcaster with a technical reach of 1.5 million viewers. DW is gaining ground in French-speaking Africa. Radio Kledou in Mali has been broadcasting DW’s French programming since the beginning of 2013 and continues to attract more and more listeners. It is broadcast from the capital city of Bamako and is also available in Sikasso, Kayes and Ségou. DW has also signed new online partners in Mali (www.info-mali.com), the Ivory Coast (www.rj24.info), Cameroon (www.equinoxetv.com), Guinea (www.bolivar-fm.com) and Burkina Faso (www.mutationsbf.net). DW’s partnership with Folha – the largest news portal in Brazil – has been paying off. In July, DW’s content that is featured on the website generated 77,000 visits. DW has been working with Folha since 2006 and the partnership was expanded this May. DW’s editorial team delivers news and content daily which is then featured on a DW page on the Folha website, as well as being listed in the different sections. DW’s video of the day is now being featured on the video platform Megogo.net. The videos appear in the main “News” category and are linked to the Russian or Ukrainian website at dw.de. Megogo logs about 13.5 million visits per month. Around 70 percent of its 16,000 hours of video content is free of charge and can be accessed online, via mobile devices and apps as well as by using SmartTV applications. With PSI, DW has a new partner in Thailand. PSI is known as the knowledge channel and has programming that covers everything from wildlife and nature to technology, history and archeology. PSI is broadcasting Euromaxx daily and is available to 12 million households in Thailand. Another TV network has added DW’s Indonesian science and technology magazine Inovator to its lineup. B-Channel has more than 20 regional TV stations in Indonesia and reaches around 75 percent of the terrestrial television market. DW expanded its Media Center this past month to include photos, audio and video content in an additional 10 languages, including: Bengali, Croatian, Dari, French, Greek, Indonesian, Macedonian, Pashto, Polish and Urdu. DW’s Media Center now offers content in a total of 25 languages.